It’s easy to concentrate on burglary as the biggest reason why your home and family need protection, but fire presents greater potential for harm. Minor flare-ups can spread quickly, but heat and smoke are often more deadly than flames. Poisonous gases can fill a house in minutes. In fact, asphyxiation is the leading cause of fire deaths, outnumbering burns by a 3 to 1 ratio. An effective security strategy should include monitoring for more than just intrusion. On average, a home structure fire is reported every 85 seconds. In 2013, 1.2 million incidents resulted in 3,240 civilian deaths and 16,000 injuries. 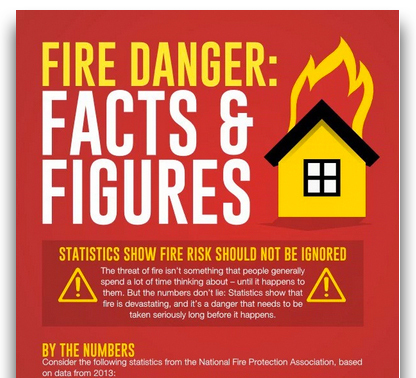 More than 80 percent of all fire deaths occur in homes. Roughly half of those deaths took place during typical sleeping hours of 11 p.m. to 7 a.m. Working smoke alarms can cut the risk of dying by about 50 percent. Proper warning and intervention can literally make the difference between life and death. 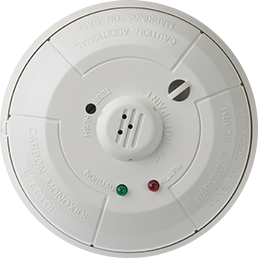 Three out of five deaths happen in homes where smoke alarms either aren’t working properly or aren’t used at all. But fires often take place when no one is home, which is great for your family but not your property. Since there’s not always someone there who can call, your sensors should be monitored around-the-clock so that your property is protected when you’re not there or when your system is disarmed. Carbon monoxide is an odorless, colorless gas that is very difficult to detect until people inside the house are already feeling its effects. Flu-like symptoms such as headache, dizziness or vomiting can result from a malfunctioning furnace or improperly vented appliance. An estimated 500 Americans die each year from accidental exposure, while another 15,000 are forced to seek medical attention. The danger of carbon monoxide can’t be ignored, and live monitoring is a good way to stop it before it gets started.